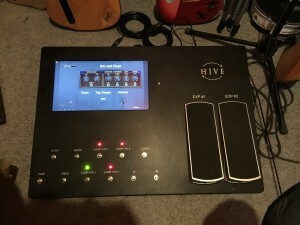 The custom foot controller, HIVE, that I’ve been chatting about in the past couple of months, has finally been completed! Months of thinking about design and functionality are finally over. The longest bit was the construction of the casing. Despite a quote of a 1 week turnaround, it ended up being 7 weeks. Once the case was in my hands there were three days of soldering the internal wiring and a late night session of a little rewiring of the LED lights. Add an additional three days of reading manuals and figuring out how to code the brain of the unit to be able to work the software I’ll be using in conjunction with it. And voilà – HIVE is alive! The plain and simple is that its a midi foot controller. With 11 buttons and two real time controllers. The real genius is the computer monitor that gives real time visual feedback of what the computer is doing. It was inspired by the Chewie Monsta. However this is much more versatile in application. Pure speculation on my part that is. Ed Sheeran’s pedal only deals with looping as far as I know. 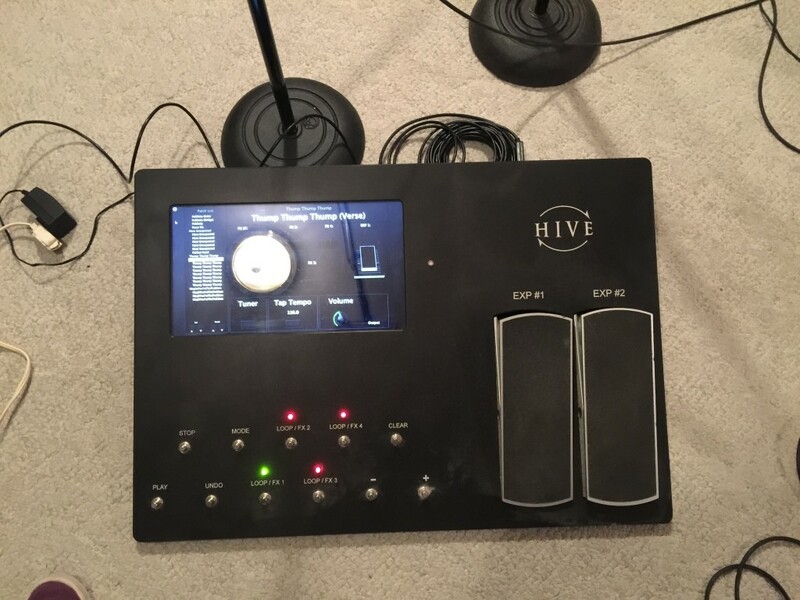 I will be using HIVE for my live performances for solo acoustic and full band events. In the not so distant future I’ll be posting videos of how it works and how I’ll be using it. Until then… stay musical!